Step back in time with this special Dinosaur Edition of the MONOPOLY game. Learn fun facts about popular dinosaurs as you buy, sell and trade the Spinosaurus, Velociraptor, Stegosaurus and more. 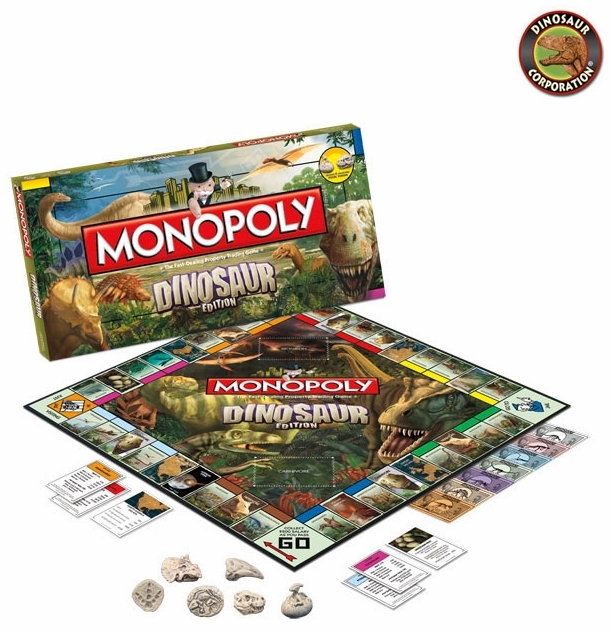 Game includes beautiful illustrations of dinosaur species and six collectible fossil tokens depicting a dinosaur egg, footprint, skeleton, T-Rex skull, Triceratops skull and claw. A prehistoric relic for dinosaur enthusiasts of all ages.